Looking through all the information about bowel cancer, and the sheer number of people affected by it, makes me realise that I am not unique in what I am dealing with as a son with both parents having had the disease. My father passed away from bowel cancer a number of years back, and now lightning has struck twice with my mother being diagnosed with it too. The treatment for both has been pretty much the same, even after nearly twenty years difference in diagnosis. For me, this means that more needs to be done to find a cure, or to uncover more treatments. It's really hard to stay positive looking after a family member, whilst also trying to deal with my own work and family. That can sound selfish but it's a true reflection of trying to support someone. In reality, there is not a lot that I can do. Friends come round and offer support but it's myself, along with my brother, who are there night and day supporting my mother. I decided to do something to raise money so I thought what better way than to shave off my beard? I haven’t shaved it off for twenty years, so it’s a big change for me and I might even film it for you all to see! 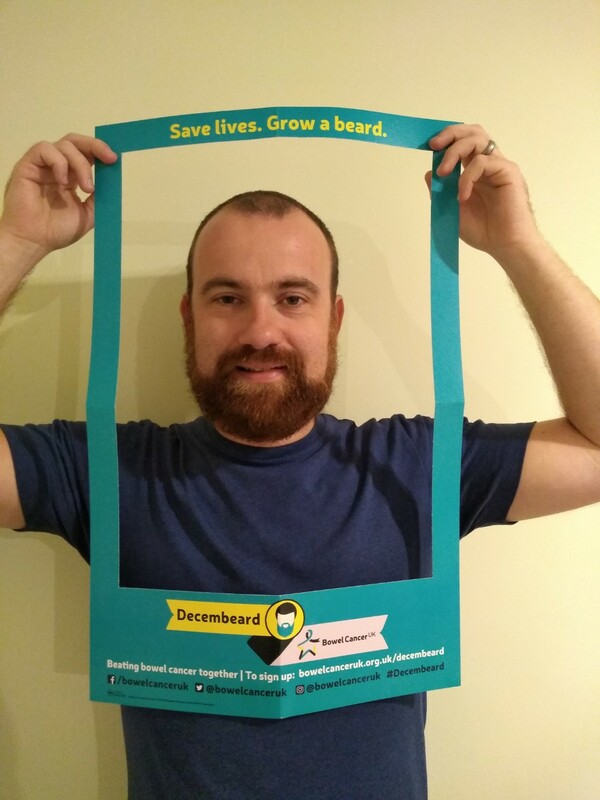 When I started my fundraising, I said that I would shave my beard off if I raised £100 by 1 December, but by mid-November I have already raised over £1,700. I think people are genuinely looking forward to me being smooth! I am already looking at other ways to raise funds in the future. Nearly everyone that I know has been affected in some way by cancer. Everyone should get involved by raising funds, together we can help support research to hopefully one day find a cure for this disease. In the meantime, the countdown to shaving my beard is on! You can view Rob’s JustGiving page here.